This year, I've tried something I've never done before. It’s a massive cliché right? But it’s true. If you are lucky enough to be blessed with eyebrows you can actually see, then this probably won’t be much help. If, like me, you find yourself with eyebrows that blend into the rest of your face and you would like to change that, then keep reading because this blog post is for you. Where did March and April go? You may have noticed that I didn’t upload a post about the books I read in March. Despite this, I have (somehow) kept up with my reading challenge so far this year and so I have combined the books I read in March and April into one post instead of two. I have been excited about Love, Simon since I first saw the trailer last year and I was lucky enough to go to a preview screening of the film on Wednesday evening. This film has been in the back of my mind for months waiting for it to come out and I was so looking forward to finally seeing it. I had so many ideas and posts planned for this month but as usual, life happened and my blog went down to the bottom of my list of priorities. February ended up being pretty difficult so I had a bit of a break from being online, which was well needed. I made two resolutions for 2018. One was to read 52 books and the other one was to blog more. I’m currently reading my fourth book of 2018 so that one is going quite well but my blog updates are another story. So you’ve decided to try out Veganuary and it’s going pretty well so far, you’ve found a dairy free spread, you've mastered the lentil dahl and your fridge is packed full of fruit and veggies and has never looked more colourful. 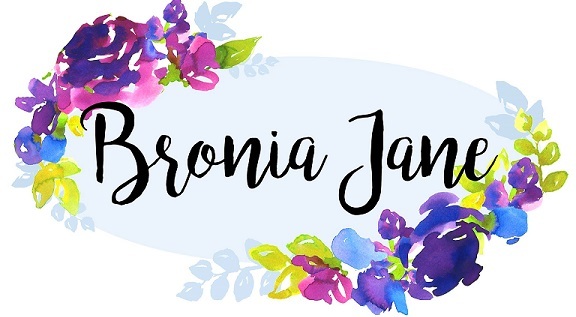 I'm Bronia, a 24 year old living in Newcastle with a lot to say, hence the blog. I post every Wednesday and write about everything from personal rambles to product reviews to all things LGBTQ+.